WhatsApp rolled out Snapchat like Status update last month but the feature was not well received by users and many of them requested to bring back the old status update with simple text. It looks like WhatsApp is all set to bring back the old status update. WhatsApp Android beta has received an update that sees revival of the old status message feature. The WhatsApp Android beta version 2.17.95 now lets you keep simple text and emoji based status messages which will stay as long you want it to stay and not disappear after 24 hours. You can tap the three dots on top right corner and check out Settings. After you tap on your phone, you will see ‘About and phone number’. The usual set of default status messages are back and you can choose from, including Available, Busy, At work and more. 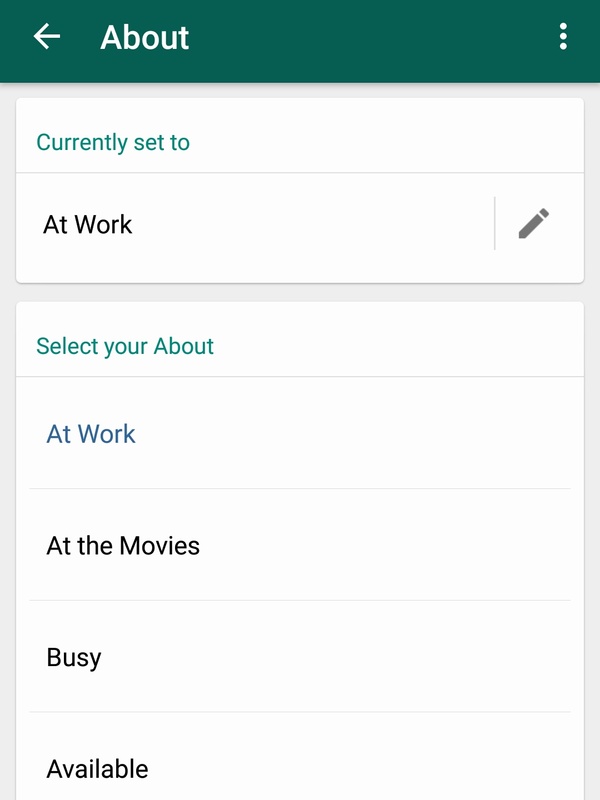 It must be noted that although the old status message feature is back, the Snapchat-like WhatsApp status feature is still there and users will have an option to choose from. In addition, WhatsApp now gets separate buttons for voice and video calls. Prior to this, users would have to tap on the call button that gave you an option to choose from voice call and video call. 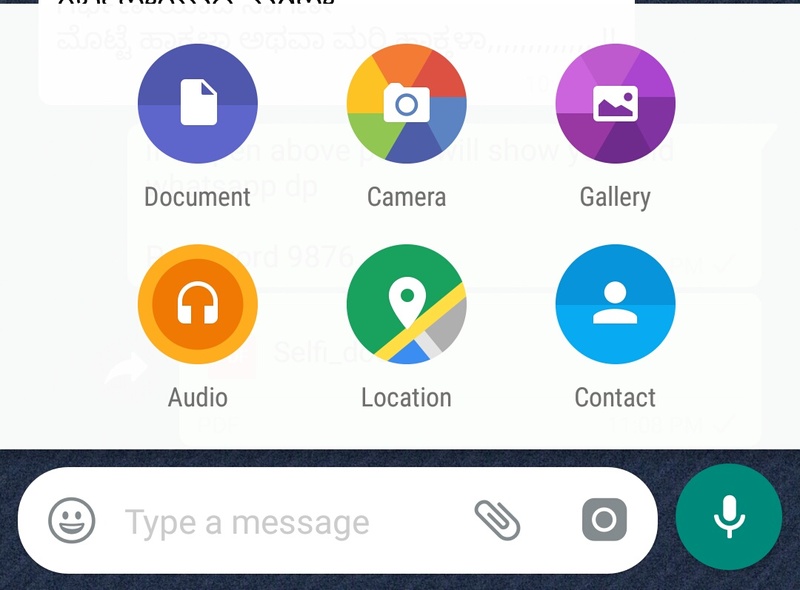 Moreover, the attachment icon has been moved from top to bottom of the screen now inside the text box next to the camera icon.